I found it interesting that this author was French herself. It adds a lot more impact to her novel because she is writing about events that would have happened to her ancestors, so it makes the novel much more personal. I found this very interesting. Also, when reading the first few pages of the novel, I really enjoyed De Rosnay’s style of writing. It is very well worded and captivating. After taking a brief look at the novel, I knew that I would enjoy reading it. She was born in the suburbs of Paris in September 28, 1961. She is of English, French, and Russian descent. De Rosnay was raised in Paris and then they moved to Boston in the 70’s. In the early 80’s she moved to England where she obtained a Bachelor’s degree at the University of East Anglia in English literature. In 1984 she returned to Paris and became the editor of Vanity Fair in France until 1993. She has published a total of 8 novels since 1992. 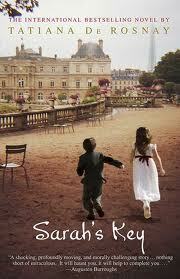 Sarah’s Key is the first English novel that De Rosnay wrote. Currently she is a journalist for French ELLE and continues to live in Paris along with her husband and their two children. It seems to me that De Rosnay enjoys writing about Europe. It is where she grew up and she seems to enjoy writing about events that happened in Europe, specifically France, before or during her time. Writing about these things would most likely come more naturally to her and she could paint a vivid mental picture of the scenery into the reader’s mind as she knows the setting personally. I have found that De Rosnay enjoys writing about family, secrets from the past, curiosity, relationships, and childhood. The novels, Sarah’s Key, A Secret Kept, and Boomerang all involve a family hiding some kind of secret from the past and someone tries to dig it up and find out what happened. Often her novels include some kind of relationship conflict, usually occurring between a husband and wife. De Rosnay’s work can be compared to “The Boy in the Striped Pajamas” by John Boyne, “Those Who Save Us” by Jenna Blum, “The Elegance of the Hedgehog” by Muriel Barbery, and “Olive Kitteridge” by Elizabeth Strout. These authors and their novels share very similar topics and writing styles. Most of these being about the war and the various challenges the characters faced during this time. These are the best three critical articles I was able to find. Unfortunately I wasn’t able to find any directly about the novel, so I found some on Historical Fiction. They are all from eLibrary. WRITING A HISTORICAL NOVEL violates that old rule, “Write what you know.” The writer of contemporary fiction can attempt to stick close to her own reality, but no matter how much research the historical novelist does, she writes about a foreign, even alien world. That’s one reason I do it and why so many readers enjoy it: It’s a form of time travel. I’m working on my 27th historical novel, and I only write in three periods, all in England: early Anglo-Norman, Regency and mid-18th century. Therefore, when I start a book now, I build on a strong foundation of knowledge that includes a degree in British history and 30 years of research. To assist writers who may be starting from ground zero, here are some of the steps that have helped me find the information I need to make my stories authentic. 1 Read up on the basic history of the time and place and make a chronology Note events that you think would be important to your characters. These may not be what history considers important. For example, minor incidents that fed the fire of the American Revolution, such as unequal treatment among military men, were mostly considered of little consequence at the time. 2 Discover an era through the writings of the time Newspapers are an excellent resource to find out what was going on during the time frame of your story. Old issues are often available on microfiche or microfilm in large public or university libraries. Local newspapers generally are available in the area where they were published and often provide the most interesting details. Magazines, some going back a few centuries, can be found bound into annual collections. These are harder to come by, but rewarding. Almanacs and similar annual publications are useful. I own a number of volumes of the British Annual Register; each gives details of a year’s events, including climate and acts of Parliament. Diaries and travel records offer a surprising range of information. For example, in the early 176Os Horace Walpole was writing letters about the fashionable world; James Boswell was recording his arrival in London, including his meeting with Samuel Johnson; and John Macdonald, a footman, was writing his memoirs. 3 Make a day-by-day chronology for the precise period of your book You can print out daily calendars ior most years at http://www.calendarhome. com. These go as far back as the 176Os, but I can’t guarantee they work back into the Middle Ages. I begin by writing in historical information and dates that might be particularly significant to my characters or plot. I also use the calendar to track events in my own story. The calendar provides my foundation. I won’t directly use a hundredth of what I learn from all this, but flimsy knowledge is dangerous. Even in a quiet hamlet, the wider world has its effect. How embarrassing to discover later that while my characters were enjoying a peaceful summer, there was a riot or a hurricane or a scandal that everyone, absolutely everyone, would have been talking about. 4 Find out how people lived It is possible to write a good historical novel without much detail of big historical events, but you must know all you can about everyday living. Diarists and letter writers can be a help here, but too many write about the unusual, not what they ate for breakfast or what fastenings held their clothes together. For example, I found many details about the daily life of a governess in A Governess in the Age of Jane Austen: The Journals and Letters of Agnes Porter, edited by Joanna Martin. There are books on everyday life, and they’re a good start, but they shouldn’t be relied on too much. To begin with, most of them cover too long a period. For example, a book on life in the Middle Ages would be a stretch, since the Middle Ages covers 500 years, at least. Life in Regency England would be more reasonable, since that is roughly a 10-year period. Even after researching how people lived, I use only what serves the book. I tell my stories from the point of view of the protagonists, so I show only what they observe, feel and think; emphasize only what they find important. How often do you think about how you make that morning cup of coffee, or the details of how you drive your car? On the other hand, the modem reader may need to be told how the characters make breakfast or operate their transportation in order to understand the story. It’s that delicate balance of translation. Details often are crucial to the story. In most of my books, menstruation isn’t mentioned, but in some, it-or its absence-becomes important. In Forbidden the fact that Serena isn’t washing her monthly cloths tells her friend that she’s pregnant. In Skylark, I wanted the protagonists to use an ear trumpet to listen through walls, but when I researched what was available in 1816,1 discovered that this instrument would have been new technology. Therefore, I couldn’t just have the characters use one but had to show how the hero discovered one. The many layers of clothing and how they go on and come off are always important. We may only want to say “he undressed/’ but we still need to know how long that’s likely to take and whether he needs help. A Regency gentleman in fashionable boots might need help or a bootjack. An 11th-century man of fashion would probably be wearing fancy cross-gartering around the loose hose on his lower legs. He’d need time to unwind them, and even longer to wind on again if he wants to look stylish. Where do you find such details? For example, if a writer claims that 18th-century ladies frequently defecated in the streets, I’d want to see the source. If it turned out to be a satirical cartoon representing Britannia shaming herself somewhere, I’d know it wasn’t literal. I’d also know the writer of the book was after sensation rather than truth, and so the whole book would become dubious. The chief value of footnotes and bibliographies, however, is that they point us to other resourcesmore diaries, bound letters and reference books. These might be general sources, such as Dorothy Hartley’s Food in England or narrower, such as Norah Waugh s Corsets and Crinolines; or extremely fine, such as Candle Lighting by David Rveteigh, published by Shire Publications. Shire’s line of books is marvelous for details, which keep your story on a solid footing, and also add clarity, texture and depth. Such details enhance the time-travel experience and add spice. Aa soon as Lady Calliope was carried in and settled at the table, they all set to, starting with oxtail soup. Genova put down a chicken fricassee, then a dish of stewed peas. She added a platter of fried potatoes to the table and sat. Thus the reader has a sketch of a simple inn meal, but it doesn’t intrude on the story. The food details are from The Compleat Housewife by Eliza Smith and six volumes of The British Housewife by Martha Bradley. These books are crammed with detail, and, yes, after reading through them, it’s tempting to include whole meals, recipes or even a mini-treatise on the food of the period. You must resist and only use what serves the story. Because my characters are aristocratic, clothes are important, but when I choose to detail them, it’s because they convey more than costume. So, in a long scene in my novel Devilish, the hero, the Marquess of Rothgar, who has just returned from killing a man in a duel, prepares to attend the royal court. I wanted it to be clear that he’s preparing for a different kind of challenge, but the description is also framed by a heated discussion with his brother-a verbal duel over Rothgar’s intention not to marry. “He will, I assume, be trained to do his duty anyway.” The exquisitely embroidered gray silk waistcoat came next, and a valet set to fastening the long line of chased silver buttons. Rothgar eased into his precisely cut jacket. The dull steel-gray silk fit without a ripple and was lavishly embroidered with black and silver six inches deep down the front. Pettier smoothed the silk across his shoulders and down the back, chasing nonexistent Haws. … He looked, doubtless by design, like an ornamental steel blade himself. 5 Do spot research as you go along As the story progresses, it will demand unexpected detail. I’m what I call a “Hy-into-the-mist” writer, which means that I don’t pre-plot my books. I develop my characters and their situation, but then I let them tell their story. Most books surprise me, not in the romantic story line, but in the details that emerge as important to the supporting plot. In my book Forbidden Magic, for example, the heroine owns a risque ancient statue that grants wishes at a price. It s a sheelaghma-gig or sheelagh-na-gig. (In my research, I first came across the former spelling and used it. The latter is more common.) This plot device popped into my mind because I’d come across a discussion of the fertility goddess statues years before. Having decided to use it, I had to find out details. In Tempting Fortune, I wanted my hero to be involved in some risky but worthwhile investments. Because I write linked books, the time frame was fixed. What was going on in 1761? The Duke of Bridgewater was building his first canal. Bingo! I was familiar with that from my English education, but again, I needed research, espedaily since Bridgewater was going to be a secondary character. For Skylark, I found I needed an explanation for an English gentleman having disappeared for 10 years. A look at the news of autumn 1816 took me straight to the battle of Algiers, when the British navy under Lord Exmouth liberated Christian slaves from the Barbary States of North Africa, especially Algeria. Perhaps my character could have been one of the liberated slaves. As is sometimes the case, though, further research showed that my initial plot idea wouldn’t work. Certainly there were slaves, but they were nearly all peasants or lowly seamen. Any captive who could pay ransom was released soon after capture. I worked with the truth, however, and developed what I think is a deeper, more interesting story. In A Most Unsuitable Man, the plot hinges on the Stuart bloodline and the rules of succession to the throne. I knew the basics but needed to know the fine details. I also had to stop at one point to research water mills, just for a tiny detail. Spot research rarely results in many words in the novel, but it adds depth and texture that is invaluable. For my current book, I’m researching Toronto in 1816 and the Indian tribes of Upper Canada, even though this only will contribute small details for the beginning. The Internet is a wonder for details like these. There are Web pages, bulletin boards and mailings lists for every group and interest all around the world, and I’ve generally found people delighted to help. In Forbidden Magic, I discovered that the hero had a parrot. This was a complete surprise to me, especially as I’d almost finished the book! I knew nothing about parrots, so I did my research but then joined a mailing list for parrot lovers and pleaded for help. They were wonderful, especially in their stories about the characters and abilities of their birds. What I learned made it clear that the parrot had been there all along, and I’d simply overlooked it. The heroine was surprised at how warm Lord Saxonhurst kept his house, no easy matter in December in England. Of course, if the parrot escaped, a drafty corridor could kill it. So, I build my fictional world with basic research, first-person accounts, precise details from the period covered in the novel and as much information as possible about everyday living. Then I add spot research as necessary. All historical fact, however, is fiction of a sort. Thomas Carlyle described history as a “distillation of rumour,” and Ceorge Orwell said, “History is written by the winners.” We come closest to truth in the words of the people of the time-in their letters, diaries and memoirs, and in plays, novels and political speeches. Even there, however, we are interpreting the words of another time and place, and will often misunderstand. The best we can do is to gather as many threads as we can and weave our own honest cloth. There will never be enough sturdy direads from the past, so we have to add the floss of our own speculation and even invention in order to create for our readers that delightful tapestry called historical fiction. Historical novelists are interpreters of the past for readers in the present, and as such we need to remember that just the facts may not get across the truth we are trying to convey. Consider the French phrase comme deux gouttes d’eau. It literally means “like two drops of water,” but an interpreter would render it “like two peas in a pod.” So we should use language that best conveys truth to the modern reader. Just for fun, look at this dialogue. The setting is England, 1816, a gentleman’s study. Fashionable young buck: Those accounts are wrong, Dad. I haven’t spent so much. Angry father: Then set the computer to check them, but you ‘re not using the car again until I’m satisfied. if I wrote that, most readers would think me an idiot, hearing “Dad” as modern, “computer” as a PC or Mac, and “car” as an automobile. However, they are all correct. I found in Pierce Egan’s Life in London that some young men did, indeed, call their father “Dad.” A “computer” was a clerk who specialized in calculations. “Car” was a common term for a carriage and is where our meaning of car comes from. Even though accurate, however, I wouldn’t use these terms because they would perplex a reader. WHEN I WAS younger, I wasn’t all that keen on history, and even in college I absorbed it more by accident than design. By age 30, however, I was hooked, and by 40 I was starting to add historical novels (beginning with Westerns) to my overall writing output. By now, I’ve written novels in five genres, and the historical has emerged as my clear favorite, both as reader and writer. For most of us who don’t start our careers as eager young history majors, it takes time to learn a respectable body of history, and more time still to learn how best to incorporate it into the service of good fiction. But the effort to learn is well worth it because, judging from our popular culture, it seems Americans very much like something that’s at least akin to history. 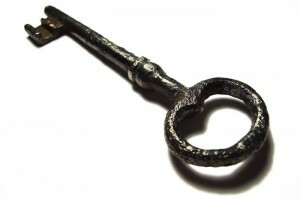 And for writers in search of markets, one key to the future may lie in the past. The demand is impressive when it’s toted up. Historical and period movies are well represented at the Oscar ceremonies and are staples in TV Guide listings, including a wide variety of Westerns. Most of the major fiction publishers release historical novels, and several paperback houses also have a line of Westerns. Check out a typical issue of Ellery Queen Mystery Magazine and you’ll find at least two historical mysteries. In fact, a wide range of magazines and other venues-ranging from Boys’ Life to the Lands’ End clothing catalog-pay professional rates for good historical fiction. If any genre can be said to offer freelancers a favorable supply-and-demand balance, I’d say it’s the historical. In part, that’s because not all that many writers, especially younger writers, are willing-or interested enough in history-to develop a few specialized techniques required for writing salable historical fiction. Yet editorial interest in it remains high, and I bet I know one reason why. It’s called a welcome change of perspective. I used to interview fiction editors for the Horror Writers Association newsletter. One common complaint, voiced in some form by many of them, was that they see far too many fiction submissions from writers whose only frame of reference seems to be contemporary TV and movies. From an editor’s point of view, perhaps a well-written historical can break up the repetitive, mind-numbing monotony. It’s true that writing historical fiction places some unique demands on the writer, including the need to keep reading history. But once you’ve got the knack, you can expand your repertoire, because period research “recycles” nicely. Once you’ve amassed useful details from reliable sources, all genres are fair game, and details used in a historical mystery will stand duty in, say, a historical romance, too. The following pointers are arbitrary and incomplete, but stem directly from my experience as a writer, and avid reader, of historical novels and Westerns. Remember that fiction trumps facts In the phrase “historical fiction,” fiction is the substantive, essential element and historical only the modifier. Accuracy is fine, to a point, but “the facts should never get in the way of the truth,” as one screenwriter puts it. More than once, I’ve tossed a book aside when the dialogue becomes a mere excuse for a Facts on File historical report. Or put another way: History tells, but good historical fiction shows. Professional historians, for example, have filled thousands of book and journal pages with research on vigilantism in America. But no list of statistics on lynchings can ever equal the dramatic, gut-wrenching power of Walter Van Tilburg Clark’s classic novel The Ox-Bow Incident. This lynch-law parable (which also became an Oscar-nominated film starring Henry Fonda) puts a powerfully human face on all those anonymous victims of “rope justice.” After learning that the three drifters they’ve just hanged are innocent, the “good citizens” who did it are forced to listen as a heart-rending farewell letter, written by one of the victims to his wife, is read aloud. The tragedy is compounded when the leader of the lynch mob, unable to bear his shame, commits suicide. The author used the emotional power of fiction, not a flood of facts and footnotes, to breathe life into a dark chapter of American history. I immediately felt a link to St. John because of my own guilty pleasure at enjoying mob stories like The Sopranos, and because Estleman reminded me that our modern fascination with criminals is perhaps nothing new or alarmingly decadent. In fact, good historical fiction universalizes and humanizes persons and events in a way “pure history” seldom achieves. Nothing beats learning directly from the best writers and works of historical tales. Some of my personal favorites include Deadwood by Pete Dexter; Angle of Repose by Wallace Stegner; Libbie by Judy Alter; Gone with the Wind by Margaret Mitchell; Estleman’s Aces & Eights; Cuba Libre by Elmore Leonard; and Red, White, and Blue Murder by Jeanne M. Dams. Master idiolect, not dialect Trying to play professional linguist and master past dialects and diction will only tax most readers’ patience and distract from your story. Instead, I recommend a focus on idiolect-speech patterns specific to individuals, not groups. Make a core list of authentic period words and phrases to draw from as you compose, assigning some to each major and major-minor character as repetitive traits. That way you can showcase some historical language while also personalizing and distinguishing characters in the reader’s mind. I found making idiolect charts especially helpful when I wrote Taos Death Cry, a novel about the celebrated Taos Trappers, a group of intrepid mountain men who explored the American Southwest in the early 19th century. In frontier fiction, it’s all too easy for one buckskin-clad “colorful character” to blend in with the others. But in truth, few individuals speak alike. So during the prewriting phase, I consulted a reliable lexicon of words and phrases widely spoken in the early 19th century. I especially looked for high-frequency words and expressions that characters would logically repeat often, such as “I snore I” (a euphemism for the more blasphemous “I swear!”) or “Not by a jugful!” (which roughly translates to “No way, buddy!”). It’s easy to work such common expressions into almost any remark, and if the writer makes sure only one character tends to repeat “I snore!” it won’t take the reader long to identify that speaker from the others. To further distinguish the half-dozen or so rustic types in Taos Death Cry, I gave one character, and only one, some distinctive speech traits of Appalachia. Again I consulted a reliable lexicon, and again 1 did not try to play linguist and replicate this regional dialect perfectly. I created a pattern based on just a few high-frequency words such as “nary” for never, “nigh” for near, “Law” or “Laws” for Lord. It holds for any genre: The best way to forgo all those he saids/she saids is to make it clear, from idiolect clues, just who’s speaking. Period details are more useful than abstract history The best historical fiction I’ve read spends very little time on the Big Ideas and is instead anchored to mundane details of everyday life which, taken collectively, evoke a strong sense of time and place. I mean such little touches as the truly tiresome nuisance of having to use buttonhooks to remove shoes in the days before they laced, or the bothersome winter ritual of using a bed warmer (a pot of hot coals on a long handle) before one could crawl between ice-cold sheets. No matter what era interests them, writers need to become collectors of period data, with special attention to vocabulary, clothing, hairstyles, money and prices (see Web sidebar), culinary matters, medicine, housing, pastimes and fads. The possible sources, especially with the Internet, are nearly limitless, the research fascinating and informative. Anachronisms, of course, are errors that place persons or things in the wrong period. More than other genres, historical fiction demands careful editing to avoid embarrassing yourself. And you can’t count on the overworked copy editor to always save your credibility. Some errors seem as obvious as clown makeup-after you spot them in print. I sermonize from vast and rueful experience here. I once wrote, describing a battle scene in the 1860s: “The acrid stink of cordite stained the air.” Flashy sentence, maybe, but cordite wasn’t added to gunpowder until decades later. But then, what would you expect from an old pro who once referred to “Oklahoma” when it was still called the Indian Territory? Another pitfall, related to anachronisms, is generally known as historical chauvinism: imposing contemporary values and worldview on an earlier era. To some extent this pitfall can’t be avoided, because we’re all children of our time. But we should be especially vigilant to at least monitor our language so the ideas don’t sound so contemporary. Consider, for example, blasphemy or “irreverence toward something considered sacred.” A blasphemer nowadays can start a popular Web site; a few hundred years ago, however, he might well have had a hole bored through his tongue. Remember that language carried greater power (and consequences) during more religious and superstitious ages, especially curses with references to God, Jesus, hell or damnation. Even as late as 1939, in MGM’s production of Gone with the Wind, Clark Gable’s famous, “Frankly, my dear, I don’t give a damn!” was considered daring for its use of the word “damn.” Which leads nicely to my final suggestion. Try hard to convey the ‘grand sweep’ of an era What good is a kind of Facts on File, dull-and-thudding historical accuracy if a writer fails to create the Zeitgeist, or “spirit of the age”? Each period in history has its “organizing metaphor.” One of my favorite periods, the 1870s and ’80s, is called the “Gilded Age,” Mark Twain’s way of describing that period’s wealth and sense of boundless optimism, as well as its glittering superficiality. Your readers should “feel the age in miniature” when they read your story, and the feeling should start early and be periodically reinforced. When he saw all of them there in the yard, almost like a painting, Hai Li felt it whole in his heart more than he did as separate words in his mind: Back East in this great hut tortured country the terrible trouble had already started. As in his own homeland, blood would beget blood, men would test the limits of depravity and goodness, an entire nation would eventually send its anguished cry to the heavens. But looking at these faces, he was reminded of the hope that would eventually save mankind from itself: Truth, courage, honor, strength, and from those great virtues would come, after the bloodbath and barbarism and darkness, a great Union with truly free men to match it. Writing historical fiction isn’t for everybody, so those who do develop a skill for it will definitely find receptive markets. Readers still want to feel the past as an immediate, living experience. Writers who satisfy that desire have every right to feel proud, for they are keepers of humanity’s collective memory. I expect we can all agree that historical fiction should be good fiction and good history. If we leap over the first briar patch by calling good fiction an “interesting narrative with well-developed characters,” we are still left with the question of what is good history. Alas, there are nearly as many thorns here as among the briars. The German historian Leopold von Ranke said that writing history was saying “what really happened”-but according to whom? Writers of history select, describe, and explain historical evidence-and thereby interpret. Not only will the loser’s version of the war never match the winner’s, but historical interpretations of what happened, and why, are subject to endless revision over time. A transforming event of the past-say, the American Revolution-can be understood as a social, economic, or intellectual movement; as avoidable or inevitable; as a tragedy of misunderstanding or a triumph of liberty. A good many recent historical novels for children do. Children’s literature, historical as well as contemporary, has been politicized over the past thirty years; new social sensibilities have changed the way Americans view the past. Feminist re-readings of history and insistence by minorities on the importance-and the difference-of their experience have made authors and publishers sensitive to how their books portray people often overlooked or patronized in earlier literature. The traditional concentration on boys and men has modified; more minorities are included, and the experience of ordinary people-as opposed to movers and shakersgets more attention. American historical literature, including children’s, takes a less chauvinistic approach to American history than it once did, revising the traditional chronicle of unbroken upward progress. However, amid the cheers for this enlightenment are occasional murmurs of doubt-and there ought to be more. Too much historical fiction for children is stepping around large slabs of known reality to tell pleasant but historically doubtful stories. Even highly respected authors snip away the less attractive pieces of the past to make their narratives meet current social and political preferences. Many of these novels have been given high marks: “an authentic story,” “fine historical fiction,” say the reviews. Many are on recommended lists, and some have won awards. As fiction, the accolades may be earned; as history, they raise some questions. Avi’s True Confessions of Charlotte Doyle was a Newbery Honor Book in 1991, praised enthusiastically in many reviews. A “thrilling tale,” one said, and that’s true-it’s a fine vicarious adventure story. It is also preposterous. The reader is asked to believe that in 1832, a thirteen-year-old girl boards a sailing ship to go from England to America, joins the crew of hardbitten sailors (all with hearts more or less of gold), performs surpassingly difficult feats of physical strength and daring under the eye of a villainous captain who hates her, and not only survives (sexually unsullied, of course) but becomes captain of the ship. Home at last, she tries out conventional life with her parents for a week or so and finds it restrictiveunsurprisingly-so she climbs out of the window and returns to her old ship as crew. This is great fun, if you are twelve or thirteen, or if you read it as fantasy, but I have to wonder about the reviewers. Kirkus called the book “well researched”-on ships, perhaps, but not, I think, on probability theory, or even human development. Unless she falls off a mast or a spar or a bowsprit, Charlotte will be fourteen, then fifteen. . . and then what? Catherine, Called Birdie (a 1995 Newbery Honor Book), by Karen Cushman, is a brave excursion into medieval social history through the diary of a fourteen-yearold who questions nearly everything that governed the lives of medieval people in general and of women in particular. Birdie’s world seems real enough-it is rough and dirty and uncomfortable most of the time, even among the privileged classes. Her feisty independence is perhaps believable, as is her objection to being “sold like a parcel” in marriage to add to her father’s status or land. However, those were the usual considerations in marriage among the land-holding classes, for sons as well as daughters, and Birdie’s repeated resistance might have drawn much harsher punishment than she got. The fifteenth-century Paston letters record what happened to a daughter who opposed her mother about a proposed match: “She has since Easter [three months before this letter] been beaten once in the week or twice, sometimes twice in one day, and her head broken in two or three places.” As the historian of the Paston papers points out, “The idea that children. . . had any natural rights was almost impossible to a medieval mind. Children were just chattels,… entirely at the direction and disposal of their fathers.” If this attitude applied to sons, it applied even more to daughters. Cushman sticks to historical reality while Birdie considers and discards the few alternatives to marriage she can think of-running away, becoming a goatkeeper, joining a monastery. But once her heroine agrees (for altruistic reasons) to her father’s final, awful choice for her, Cushman quickly supplies an exit. The intended husband dies, so Birdie can marry his son, who, fortunately, is heir to the land and thereby meets her father’s purposes. The son is, of course, young and educated where his father was old, ugly, and illiterate. Even granting that life is unpredictable, so fortuitous an escape strains the framework. In fairness, I think Cushman knew this; she just flinched at consigning her likable character to her likely fate. And therein lies the difficulty I find with these-and many other-historical novels of the last twenty years. They evade the common realities of the societies they write about. In the case of novels about girls or women, authors want to give their heroines freer choices than their cultures would in fact have offered. To do that, they set aside the social mores of the past as though they were minor afflictions, small obstacles, easy-and painless-for an independent mind to overcome. It isn’t that contemporary writers of historical fiction do not research the topics and the times they have chosen. They do, and they often include information about those facts and about the sources they have used. Yet many narratives play to modern sensibilities. Their protagonists experience their own societies as though they were time-travelers, noting racism, sexism, religious bigotry, and outmoded belief as outsiders, not as people of and in their cultures. So Birdie, though she approaches her first experience of Jews with all the outlandish prejudices of her society, overcomes them instantly. So Sarah insists on wearing overalls when it suits her, and her future husband accepts not only this, but all her nonconformities, without question, let alone objection. A ship crew’s acquiescence to a thirteen-year-old girl’s decision to join them as a working sailor-in 1832-hardly needs comment. And so, too, Ann Rinaldi’s novel of the 1692 Salem witch hysteria (A Break with Charity ), in which all the significant characters are outsiders, one way or another, and all hold views closer to twentieth- than to seventeenth-century norms. No sympathetic character in this novel really believes in witches, though many seventeenth-century people did. Cotton Mather-who indeed took witchcraft seriously-appears once, wrapped in a black cloak, an onlooker at one of the hangings and the embodiment of evil. Puritanism was, and is, an ambiguous, complex, enduring influence on American culture; to picture it as simply evil or alien is ahistorical. Didacticism dies hard in children’s literature. Today’s publishers, authors, and reviewers often approach historical fiction for children as the early nineteenth century did-as an opportunity to deliver messages to the young. Bending historical narrative to modern models of social behavior, however, makes for bad history, and the more specific the model, the harder it is to avoid distorting historical reality. The current pressure to change old stereotypes into “positive images” for young readers is not only insistent, but highly specific about what is the desirable image, and often untenable. If the only way a female protagonist can be portrayed is as strong, independent, and outspoken, or, to take a different example, if slaves must always be shown as resistant to authority, and if these qualities have to be overt, distortion becomes inevitable. Betty Sue Cummings’s novel about the American Civil War, Hew against the Grain (1977), establishes her heroine’s strength as a credible result of wartime conditions. Her picture of slavery, however, is less easily reconciled with history. How many slaves this Virginia family owns is not clear, but the four described in any detail are all free-thinking and outspoken”Elijah neither looked nor acted like a slave”-and the two younger ones, at least, can read. The odds against such a situation in Virginia on the eve of the Civil War were considerable. More important, however politically acceptable it is, this kind of idealization glosses over the real price slaves paid for slavery. Formulas deny the complexity of human experience and often the reality of it as well. Most people in most societies are not rebels; in part because the cost of nonconformity is more than they want to pay, but also because as members of the society they share its convictions. Most people are, by definition, not exceptional. Historical fiction writers who want their protagonists to reflect twentieth-century ideologies, however, end by making them exceptions to their cultures, so that in many a historical novel the reader learns nearly nothing-or at least nothing sympathetic-of how the people of a past society saw their world. Characters are divided into right-those who believe as we do-and wrong; that is, those who believe something that we now disavow. Such stories suggest that people of another time either did understand or should have understood the world as we do now, an outlook that quickly devolves into the belief that people are the same everywhere and in every time, draining human history of its nuance and variety. Ames, John E. “Historical Fiction: Get more than just the facts right.” The Writer (Boston) 117.11 (2004): 34. eLibrary. Web. 28 Feb. 2011. <http://literature.proquestlearning.com/quick/displayItem.do?QueryName=criticism&ResultsID=12DD4984FD3&forAuthor=0&ItemNumber=79&gt;. The main conflict in the novel is that of Julia trying to figure out Sarah’s story. Not many people will co-operate with her in her search as they don’t wish to think about the horrible things that happened in the past. There is also the conflict of Sarah trying to get back home to try and save her brother, as she doesn’t know if anyone took him out of the cupboard. Then there is another conflict between Julia and Bertrand. She found out that she is pregnant. Julia thought her husband would be happy to hear this as he always wanted a second child. To her despair when she told him, he said he was too old for a child and it wouldn’t fit into their lives. Bertrand also said that if Julia has the child it will be the end of their marriage. So Julia has a big decision to make. Sarah Starzynski: A ten year old girl living in Paris in 1942. The first story follows her. Michel Starzynski: Sarah’s four year old brother. Rachel: Sarah’s friend from the internment camp who she ran away with and later died. Jules: The farmer that finds and takes in Sarah and Rachel. Geneviève: The farmer’s wife. The couple hide Sarah from the authorities and help her to have as comfortable life as possible. Alan: Son of Jules and Geneviève Dufaure. Gaspard: Jules and Geneviève’s grandson. Nicholas: Jules and Geneviève grandson. Gaspard and Nicolas become very close to Sarah as she grows up. Nathalie: Gaspard’s granddaughter. Later in the novel, she helps lead Julia to Gaspard to unfold the mystery of Sarah’s life. Richard J. Rainsferd: Sarah’s husband in the United States. Mara Rainsferd: Richard’s wife. She helps to lead Julia to William Rainsferd. William Rainsferd: Sarah’s son. Julia eventually finds him in Italy. He had no idea about his mother’s life and family in France until Julia tells him the story. Julia Jarmond: An American woman in her late forties who lives in Paris. She has a husband and a daughter. She is a journalist who is researching the Vélodrome d’Hiver roundup for an article. The second plot follows her. Bertrand Tézac: Julia’s husband. He is a French man and works as an architect. Zoë Tézac: Julia and Bertrand’s daughter. Mamé: Bertrand’s grandmother. She moved into the apartment that the Starzynski family was forced to evacuate. Edouard: Bertrand’s father. He ends up playing an important role in helping Julia find out about Sarah Starzynski. Colette: With of Edouard, mother of Bertrand. Amelie: Betrand’s girlfriend. Julia retells an event from the past when she found out her husband was having an affair with Amelie. Later in the novel, Julia suspects that Bertrand is still in love with Amelie. They receive a divorce and he admits his love for Amelie. Alex: Charla’s son, Zoe spends time with Cooper and Alex over the summer. Isabelle: Julia’s friend who lives in Paris. Herve: Julia’s friend in Paris. Christophe: Julia’s friend in Paris. When she first moved to Paris she lived with Herve and Christophe. Guillaume: A friend of Herve and Christopher, some from his family were taken during the roundup. He helps to give Julia some information about it. Bamber: Julia’s co-worker and photographer who is helping her research the roundup. Allesandra: The features editor at Julia’s work. Neil: Julia’s boyfriend in New York. He doesn’t appear in the novel until the very end when Julia has moved to New York city with her two daughters. Sarah: Julia’s second daughter. Named after Sarah Starzynski. This novel takes place in two different settings. The first is in Paris, France in July of 1942. It starts in the Starzynski apartment, where Sarah lives with her parents and younger brother. Then the setting changes when they are forced out of their home and into the Vélodrome d’Hiver along with thousands of other Jewish people. Later, the setting changes again as they are taken on trains to an unknown area. Eventually we learn that they were taken to the Beaune-la-Rolande internment camp. In time, Sarah escapes and the setting changes to the home of a farmer and his wife in southeast Orleans. These various settings are all very important to the history that is in this novel. 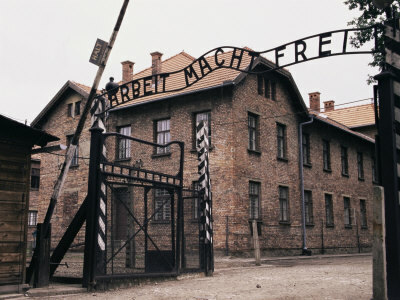 It shows what happened to a lot of the Jews and gives us an idea of the various places they were forced to go. The second setting follows Bertrand, Julia, and Zoë Tézac in Paris, France in May of 2002. This setting sticks in France as the family is moving into a new home, and Julia is travelling around France taking a close look at various internment camps in order to write an article on the Vélodrome d’Hiver roundup. This setting is important to the story as it connects Julia to Sarah Starzynski as Julia is moving into the apartment that Sarah and her family were forced out of. We find out what happened to Sarah and if she survived or not based on the research that Julia does on her. Recently Julia found out that she was pregnant. She was quite happy about the news, but her husband felt much differently. He does not want her to have the baby and suggests she get an abortion. 2. I chose this book because I read the summary for it and it really interested me. The writing style is very unique as it switches from a story in the past of a young girl and her family who were taken during the Vélodrome d’Hiver roundup and of a modern day story of a journalist who is investigating this roundup. The two stories intertwine as the journalist comes across secrets which link her to the young girl from the past. This interested me as the book becomes a bit of a mystery and it leaves you in suspense. I also learned from the introduction of the book that the young girl hid her brother in a cupboard and locked it so that the French police would not take him too. She thought that she would be back shortly to release him, but to her surprise her family isn’t released immediately. This made me very interested to find out what happens to her brother and also what ends up happening to her family. I am also very interested in the Holocaust as a lot that happened is kept a secret. In history class we learned a lot about what happened in Germany and Russia, but we didn’t learn much about what happened in France. This also caught my attention when I was examining this book as it lets me learn a bit about what happened during the Holocaust in France. 3. So far I am really enjoying this book.What I have read has been really interesting. I enjoy the style of writing that Tatiana De Rosnay chose as it puts two different, but connected stories into one novel. It is not written in a way that makes it difficult to understand and it is very descriptive. This allows me to easily picture what is happening and makes the novel enjoyable to read. The different characters in this novel are also very unique, and the author does an excellent job showing their personalities right from the start. It makes it easy to relate each character to people that I know and even to myself. When you can relate to the characters in the novel it makes it very pleasurable to read. I often find that many novels start off very slow and you have to read a few chapters before anything interesting happens. This novel is different as it introduces the characters while exciting things are already happening. I find myself having a hard time putting the novel down. 4. I have read up to page 33 so far. 5. In the novel there are currently two different plots happening. The first takes place in Paris, France in July 1942. A ten year old girl named Sarah is taken with her parents and countless other Jews to Vélodrome d’Hiver. Before she leaves, Sarah hides her four year old brother in a secret cupboard and locks him in so the police don’t take him. She doesn’t realize where they are going and thinks that because they are being taken by French police, and not German, that they will return home shortly. To her despair, she learns that they aren’t going back home. They are trapped in an arena with thousands of others without food, water, or proper facilities. People are dying of hunger and dehydration, while others are committing suicide. The mood of this part of the story is very dark and sad because of these events. The second plot also takes place in Paris, France, but this time it is in May of 2002. Julia Jarmond is an American journalist who has been living in France for twenty-five years. She is married to a French man named Bertrand and they have a daughter named Zoë. Bertrand’s grandmother has recently been moved into a nursing home so he is having her apartment redone so their family can live in it. Julia has just been given the assignment at work of writing an article on the events that happened during the Vélodrome d’Hiver roundup sixty years earlier. She starts her research and realizes the sad realities that occurred during that event in world war two. The mood of this part of the novel is much more upbeat than the other part. It focuses on the advances a family is making in their life – both to their apartment and to their careers. 6. There are a few different themes that seem to be forming in the novel so far. One is the theme of survival and escape. Sarah and the many others who have been taken from their homes are trying to survive without food or water, and are in fear of what is to come. Many tried to escape and fight the police to not be brought to the arena. Then there is Sarah’s brother who is trapped in the cupboard. He is also trying to survive in there with no food and a minimal amount of water. I think the author is trying to show how the people in that time did everything that they could to survive or escape the situation that they were in. Some ‘escaped’ by killing themselves in the arena, will others fought to stay alive. Tatiana De Rosnay is saying how valuable life is, and is showing what some people would have needed to do to stay alive during the Holocaust. She is also saying that survival and escape do not always go together. Many people died during the Vélodrome d’Hiver roundup. For these ones, the only escape they had from this torture was their eventual death. Another theme that I see developing is that of racial or religious discrimination. Sarah and the other Jews are being tortured just because of their religious beliefs. In the story of Julia Jarmond, there is racial discrimination. She is often mocked by her husband and others because she is an American. Even though she has been living in France for twenty- five years, she is still set apart as different by many people. I think the author is really trying to show how unfair it is to treat others differently because of their race or religion. No one should be made to feel like they are less of a human just because they are different in some way. She effectively shows how ones feel when they are discriminated against. 7. I have found a couple different secondary sources.I have yet to find one that is a truly scholarly review. I find a lot of them use very advance vocabulary which makes them difficult to interpret. I do find it interesting hearing other peoples opinions on the novel, and it has help me to look at the book from many different view points. 8. “He had his favourite teddy bear clutched to him, he was not frightened anymore.” (3.8.5). This line really speaks to me because it is easy to relate to. When kids are young, they don’t realize the severity of things, and when something scary is happening, they are often comforted by a teddy bear. It made me think of when I was four years old, like the boy it is talking about in this line. If anything scared me, I would just need my favourite stuffed animal by my side and I would be okay. The teddy bear represents a lot of things. Often it is given to a child by their parents. Because of this, when the child has the bear it is like their parents are there with them. Or it is just like a friend to the child, so they no longer feel like they are alone. Either way, it represents security and it comforts the child. 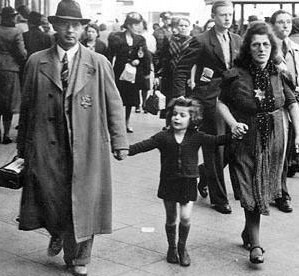 In this case, the child felt secure while his family was being taken away. For most kids, it protects them from the dark, or from the monster under their bed. This line gives a description of how most four year olds feel.